So many people from so many spiritual traditions and cultures are celebrating this season of light. Geographically we are spread across the northern hemisphere and around the world yet in these celebrations we are all standing in the same place. Unified by our divine nature. Unified by these moments of deep knowing that a universal and sacred presence is in and with all of us. Woven together with this sacred common-unity we become one global community. With each other and with all life. 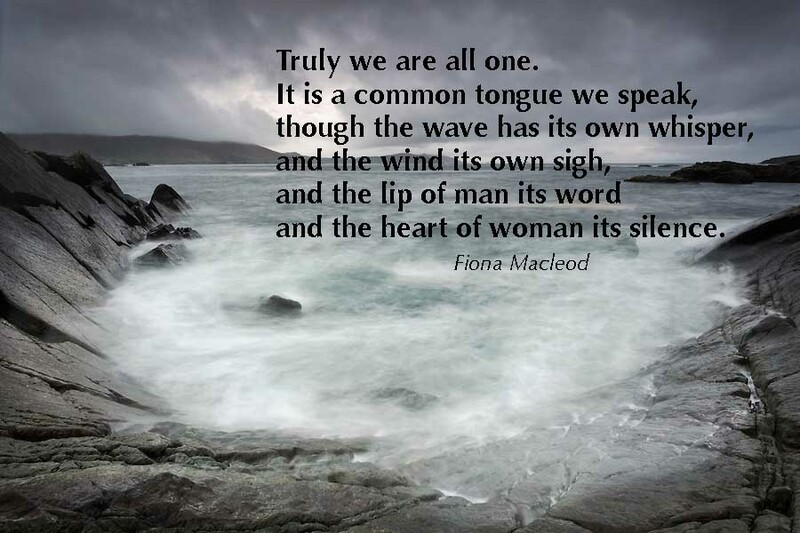 Fiona Macleod inspired these words in the late 1890s. A woman of the faery realm she worked with and through Scottish author William Sharp who penned her words. Her writings remind us of this sacred unity…and that this knowing transcends time and our constructs of reality.